Another day, another feature nobody asked for. 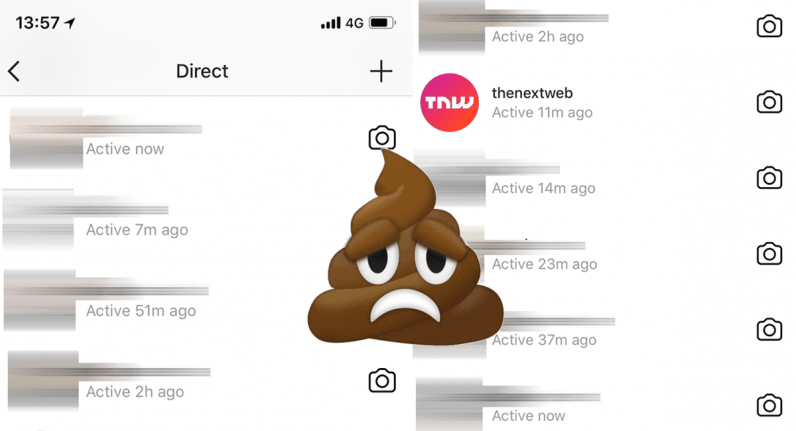 Facebook subsidiary Instagram has now enabled activity status in direct messages: this means that practically all of your friends will now be able to see when the last time you were actively using the app was. The feature rolled out as part of the latest updates for Android and iOS – so at least you know everyone is getting the same deal. In case you were wondering how this looks, Instagram now displays a line indicating the last time a user was active on its platform directly underneath their username. The activity status is currently only visible in direct messages. While some might find this change slightly annoying at first, it is not all that surprizing to see it in the main app. Indeed, Facebook integrated the same feature in its Messenger app ages ago. Open the app and head to Settings. Scroll down until you see the new ‘Show Activity Status’ option. Please note that opting out of activity status means you won’t be able to see other people’s last activity either. But that seems like a totally fair trade-off to me.